Check out my first foray into Buzzfeed GIF lists. Be gentle! This entry was posted in Funny and tagged gifs, lists on February 5, 2014 by christian. You’ve created an awesome video – you put in good content, gave it an eye-popping hook, and maybe you even followed ReelSurfer’s Guide on How to Make a Viral Video. But making the video is only the first half of a good video marketing campaign. Now you need to track how well the campaign’s actually going. Unfortunately, traditional metrics like views don’t tell the full story. 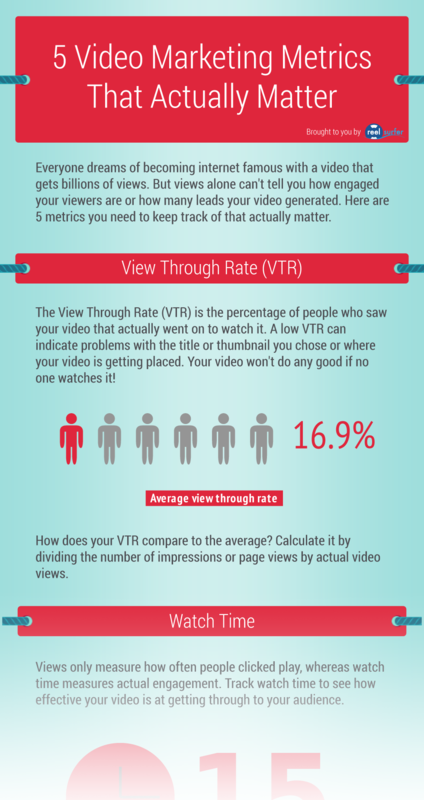 Check out this infographic I created for ReelSurfer and Reel SEO showing the top 5 metrics that actually matter. This entry was posted in Video and tagged Marketing on May 31, 2013 by christian. Hello everyone. My name is Christian Yang, and I’d like to welcome you to my collection of musings. This entry was posted in Uncategorized on January 1, 2013 by christian.